This little quilt patch is called an "apple core." 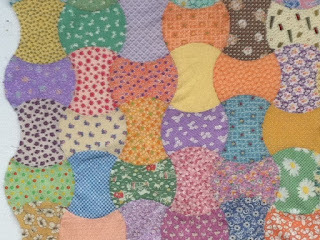 It is a traditional "charm quilt" shape. 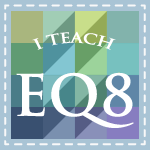 A charm quilt was a quilt made from patches that were all the same shape (square, diamond, hexagon, trianglel, kite etc.) with lots of different fabrics. 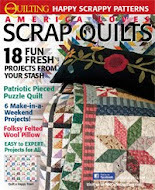 It was the quintisentiall scrap quilt. I have always wanted to make one. I bought an Accu Quilt GO Cutter a year ago and bought the apple core "die" to go with it. At a retreat a few months ago I brought it along and everyone brough 30's fabrics. We all cut up TONS of fat quarters and swapped them around. I had a HUGE pile of them and have wanted a chance to put them together. The gentle curves are easy to piece and the "built in" notches from the die make lining up the curves simple. I put them together without pinning as I think it is easier to align the two edges when you aren't wrestling with pins. The only challenge is to be able to work with both hands doing different tasks. For me, my right hand controls the bottom piece and my left hand controls the top piece. The raw edges don't line up until just before they get to the presser foot. This works great and I find the ends work out very close to each other. I keep a small pair of pointy tip scissors close by to clip curves as I go if one pieces needs a bit of stretching. At another retreat Iattended this past week I finally got the top together! There are 288 apple cores in this quilt top. I am going to add another 72 apple cores of solids in 30's colors as a single row around all four sides as a border. Then I plan to bind it with bias around all the curves! The final tally will be 360 apple cores! 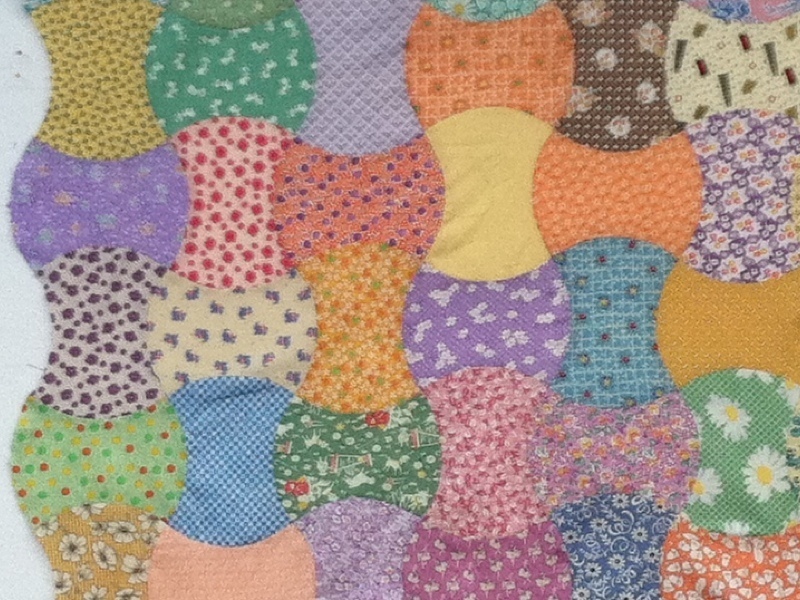 A happy co-incidence that a quilt with curves should have the same number of degrees as a circle. Whoo Hooo. I'll post more pics once I get the border applecores cut and assembled. 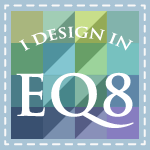 I am thinking about writing this up as a pattern. Any interest in that? This has been a totally fun project! Got to see it first hand and it was lovely. Great job! It looks great Reese. I have always wanted to make an apple core quilt. I have such respect for curves in fabric, what an amazing demonstration of skill. Nice job.